Wake Up, Girls! 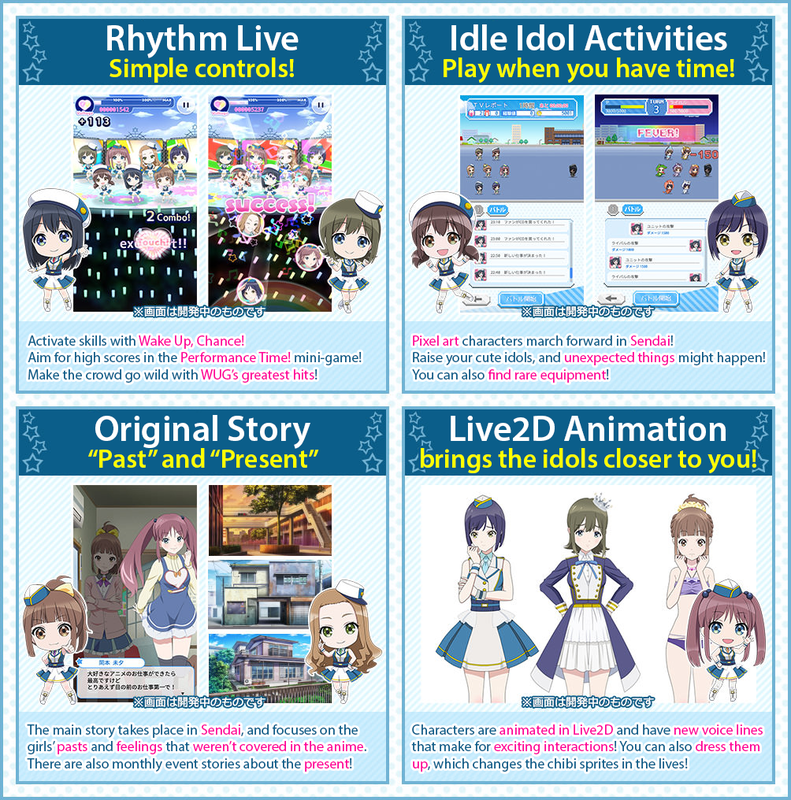 Shinsei no Tenshi is a rhythm & idol simulation game for PC and mobile browsers (HTML5). It is scheduled for release in August 2018. WUGten will also include associated units like Run Girls, Run! (RGR), Next Storm, etc. Get EX cards that can't be obtained in the game! You can only get ONE serial code. Once you lock in and generate the serial code, you can't roll the gacha anymore. You can try 2 times per day. This page was last modified on 16 July 2018, at 21:23.